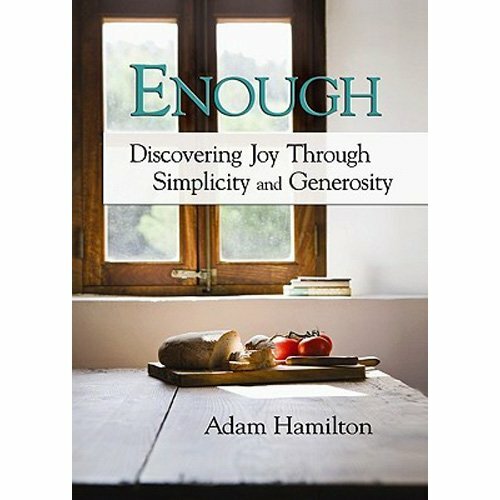 I got a copy of Adam Hamilton’s new book, Enough. Great read! I was surprised at how timely it was for our current economic state. It’s the first book I’ve seen addressing the past year or so and how we can respond in faith. It’s the perfect mix of practical application and scriptural background. Lord, help me to be grateful for what I have, to remember that I don’t need most of what I want, and that joy is found in simplicity and generosity. You can get a copy of the book here. Would be a great study for a small group. Next why do you stay? Thanks for the review. I’m thinking of working on this during a church summer class, and wonder if it would work for those who are not yet Christians as well as those in the church. Any thouhts? I actually think it would be ideal for that combination of people. Addresses a felt need that we all have, believer or not. Good idea! Thanks for the review of this book. Looks good. I will put it on my “books to read” list.This makes me think of my current levels of (dis)contentment. Probably will post about this a little later on my blog.In God’s Love,JAy.